Judicial Commission of Inquiry (JCI) set up by Kaduna State Government to look into the clash between members of the Islamic Movement in Nigeria (IMN) also known as the Shi’ite group and the men of Nigerian Army, last December in Zaria, on Monday gave the Shiites group March 21 deadline to submit it memorandum or it will go ahead with it proceedings. In a swift reaction, the group said What will it Lawyers submit to the Commission if the leader is denied his fundamental human right of access to his lawyers for proper and professional briefing. The commission which adjourned for the fifth time to allow the group submit it memorandum said it would not wait any longer for the Islamic group to submit their memorandum to it, having given them ample opportunities to do so without success. Adjourning the sitting, Chairman of the Commission, Justice Muhammadu Lawal Garba said the Commission was running out of six weeks allotted to it by the Kaduna State Government, stressing that yesterday’s adjournment will be the last whether IMN has access to its leader or not for proper proceedings to commence. 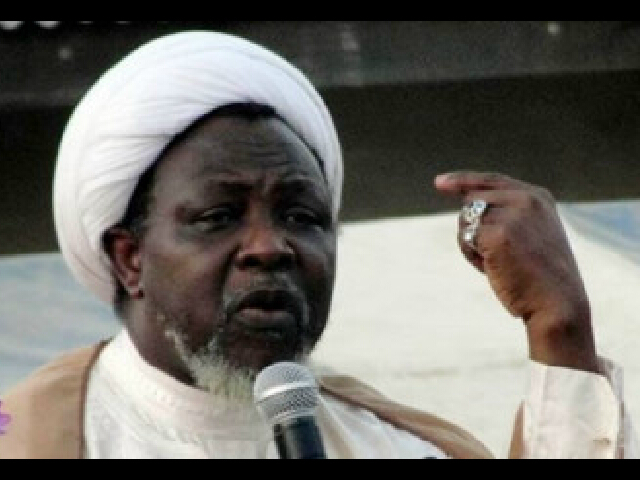 He urged the IMN counsel to submit their memorandum before or on March 21, as the Commission would go ahead on that day to hear Army side of the memorandum. “We give another opportunity to allow IMN to see their leader because the application for adjournment is supported by all the parties appearing before the panel”. Commission Chairman said. Earlier, at yesterday’s sitting, one of the leading counsels to the Commission, Yunus Ustaz Usman (SAN), informed the Commission that all efforts made to get access to the leader of the Islamic Movement proved abortive. Usman explained that in order to ensure that Zakzaky was seen and met before yesterday ‘s sitting, the Kaduna State Attorney General and Commissioner for Justice, Amina Dyeris-Sijuwade was contacted, who in turn contacted the Attorney General of the Federation and Minister of Justice, Abubakar Malami, to ease access to IMN leader, yet to no avail. He therefore appealed to the Commission to give another opportunity to the IMN by adjourning to another date in order to try again if the IMN leader could be accessed. “We did the best we could, but because of the busy schedule of the Attorney General of the Federation, we could not go through him, but we met with the Attorney General of Kaduna State, and she spoke to the Attorney General of the Federation on phone in our presence, and we were in Abuja for four days, trying to see him, but he was too busy. And before we know it he flew out of the country. Meanwhile, the Secretary to the Commission, Dr Bala Babaji addressed the press shortly after the adjournment emphasizing that “The Commission has strived hard to afford all parties to be fairly represented and treated with justice and fairness in all its deliberations. “The Commission will furthermore issue to the public its schedule of appearances and presentations in due course. “Counsel to the IMN are to submit their memorandum no later than March 21, 2016. The Commission reiterates its commitment to encourage the authorities to facilitate access by the IMN counsel to its principal client”. Recalled that the commission ajourned from the -inaugural sitting on the 22nd February to the 24th, then to the 29th and to 7th March and to the 14th March, and again to March 21, 2016, all due to the inability of the counsels to the IMN to see their client, Sheikh Ibrahim El-Zakzaky. On it part, the Shiites group said it finds the commission’s directive perplexing and contrary to the directive of the Commission at the last sitting on the 7th day of March 2016 where it ordered the Attorney General of Kaduna State, Attorney General of the Federation to liaise with the counsel to the commission to ensure that Counsels to the IMN are given access to their client (Sheikh Ibrahim El-Zakzaky) to get briefings from him. In a statement signed by the President Media Forum of the movement, Ibrahim Musa, the group said it wondered who advised the commission to go ahead with it proceedings because it will lack credibility. According to it, “We find it strange that the Commission that is aware that the Nigerian Military and the Department of State Services (DSS) are holding the leader, spokesperson and custodian of the properties of the Movement hostage will go ahead to issue such an order. We thought that the Commission will insist that the security agencies should obey its order and grant access to the lawyers of the Movement to see him. What impact will the Commission make if its orders are not obeyed by the security services? We are of the view that the Commission must establish its independence by enforcing its order and directive rather than threatening to go ahead with its supposed assignment when the leader of one of the parties and his wife are held in solitary confinement. “Whosoever advised the Commission to continue with its proceeding does not wish the Commission well, because whatever it will eventually submit to those that set it up will lack credibility in the eyes of well meaning Nigerians and the world in general if it cannot secure access to one of the parties in the conflict. “While we will be glad if the legal rights of our leader are restored, we still reiterate our earlier demand that we will not work with the Commission of Inquiry unless he is released after more than ninety days incarceration. “We therefore advise the Commission not to engage in a fruitless exercise if it cannot secure access to the leader of the Islamic Movement in Nigeria. The Nigerian people should note that the leader of the Movement and the wife are held in solitary confinement and have not been charged with any offence since they were mortally wounded on the 12th and 13th of December 2016. “We urge all well meaning Nigerians to prevail on the government to release the leader of our Movement to enable him tell the Nigerian people and the world the atrocities committed by the Nigerian military. Our leader is being held in solitary confinement because those that committed genocide against the members of the Movement do not want the world to hear and witness what they did,” the statement reads.